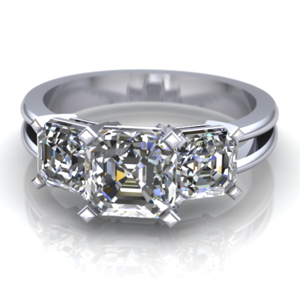 Since the dawn of history, mankind has held a special fascination for precious metals and gems. Their glitter holds a mystic beauty even in their natural state. The inner glow emanating from within inspired the ancient craftsman to create and mold an art form that has been handed down from generation to generation with ever increasing ingenuity to invent new forms. We specialize in custom designs at Laney’s. We cast and create unique beautiful hand wrought jewelry. We involve you in this process - we enable you to design and re-design if necessary using your loose gem stones or ours as we endeavor to present you with creations unmatched in the industry for enduring beauty and conscientious workmanship! Please take the opportunity to view these videos on YouTube. When you are ready to set up your free design appointment give us a call! We pride ourselves on creating wearable designs. A design must be functional as well as beautiful.